Serves as many as you want it to, a satisfying meal, that akin to the finest arrabiata will be fiery and full of flavour, but subtleties will not be lost in the heat. Add a liberal helping of the more melodic end of the Canterbury jazz-fusion scene of the mid-’70s to two teaspoons of European café-jazz and a handful of finely chopped chamber rock. Mix in a bowl until all the ingredients are indistinguishable, add to a large melting pot, simmer in red wine until absorbed. Just before the mix begins to steam vigorously, add a hint of pizzazz and a dash of arthouse filmscore, and enough chilli pepper to add some zing but not overwhelm. Shimmy for as long as required, and serve over a bed of al dente rhythm, firm but not too hard, and definitely not overdone. 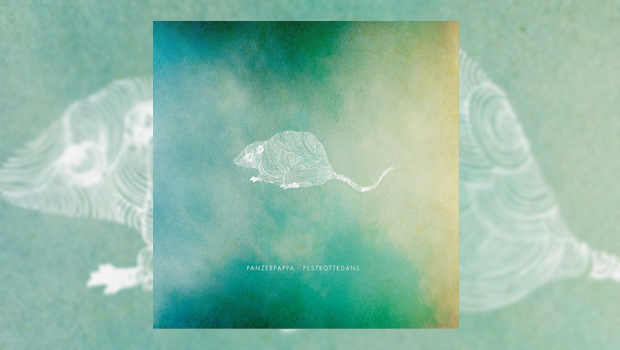 In other news, Panzerpappa are a Norwegian instrumental avant-prog band, now up to their sixth album with the delightfully monikered Pestrottedans (which translates as “Dance of the Plague Rats”). Their “avant” is of the non-threatening variety and pleasing to the discerning ear. Instrumental stories depicting everything from dancing vermin and post-apocalyptic dreaming via whimsical and lovely repetitive pastoral excursions to an extract from an abandoned and self-admittedly over-ambitious prog extravaganza that was to be in 99 parts – they got to part 15 before calling it a day – are played with the consummate ease by a long running and highly skilled bunch of musicians, whose joy in what they do pours out of the speakers. A knowing humour is never far from the surface. The title track is, as the comprehensive booklet notes describes it, “a merry tune” written in the period immediately following the writer Trond Gjellum’s marriage to his wife Tone. Who knows what he might call a track written after a marital spat! The album ends with some dark chamber-rock depicting the thoughts of the surviving inhabitants of the titular doomed Biblical city, post-destruction. As I sit here writing this in the U.K. on the 24th June, it couldn’t be more appropriate, although it is nowhere as black as my mood. Also, despite it being somewhat musically atypical, it does fit well with the rest of the album in that like the other tracks before it, it conveys its intended atmosphere perfectly. Panzerpappa are a band I have long been aware of, but until this fine album, never really heard. On the basis of this well constructed and involving record, their back catalogue must be investigated…should I ever find the time, of course!